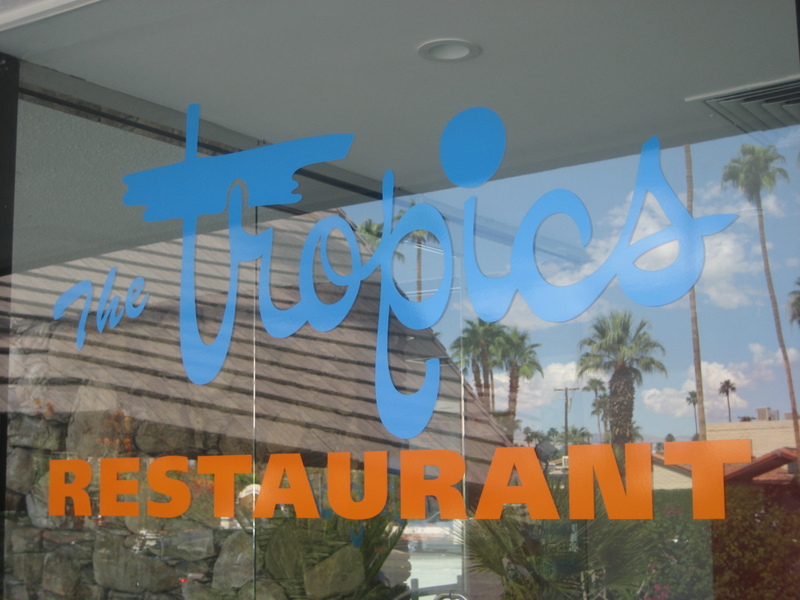 When we were wrapping up our Palm Springs trip with a stop at the Caliente Tropics motel, I thought we’d also get to check out The Tropics Restaurant and Conga Room bar, which had re-opened a few months prior in what used to be The Reef. 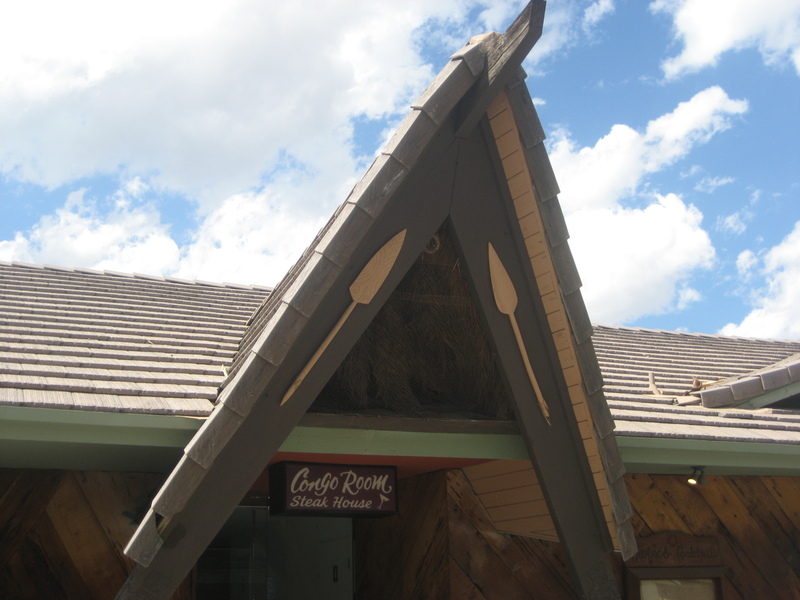 The room facing the pool was supposed to be turned into a tiki bar, hence the A-frames, but I guess they weren’t able to secure a liquor license. 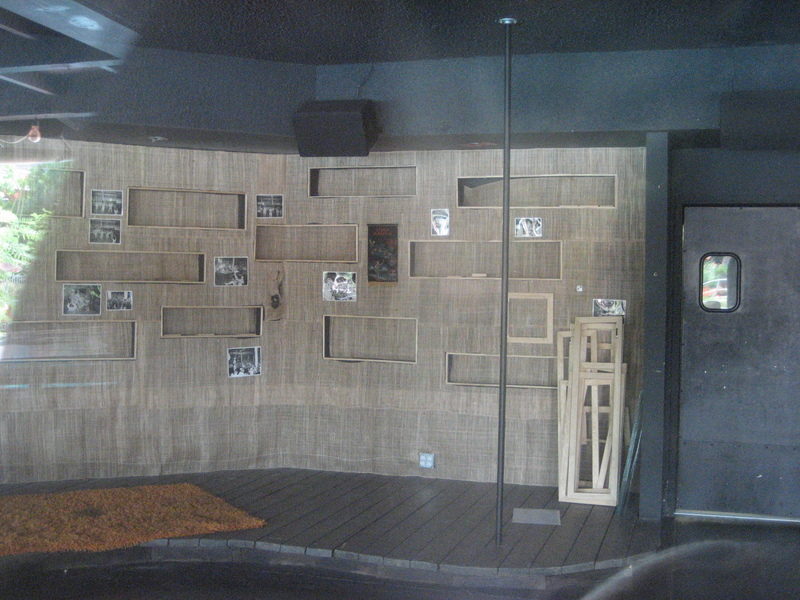 These shelves were once filled with tiki mugs, but they’d been cleared out along with other tiki design items by Bosko and Crazy Al. 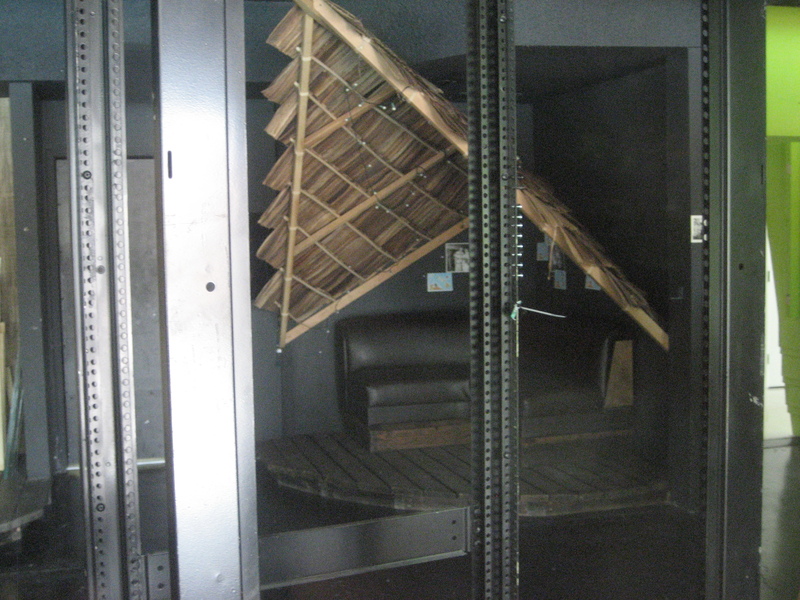 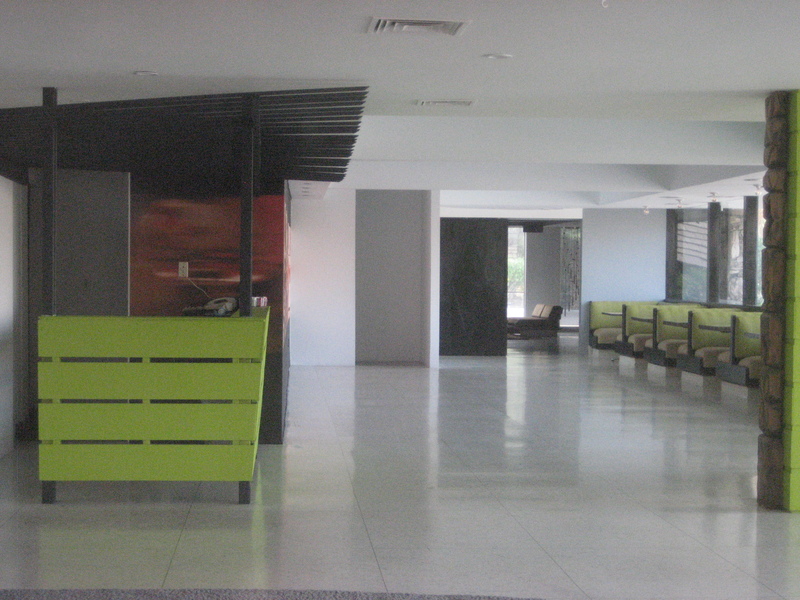 Apparently some interested parties have checked out the space, but nothing seems to have come from it. 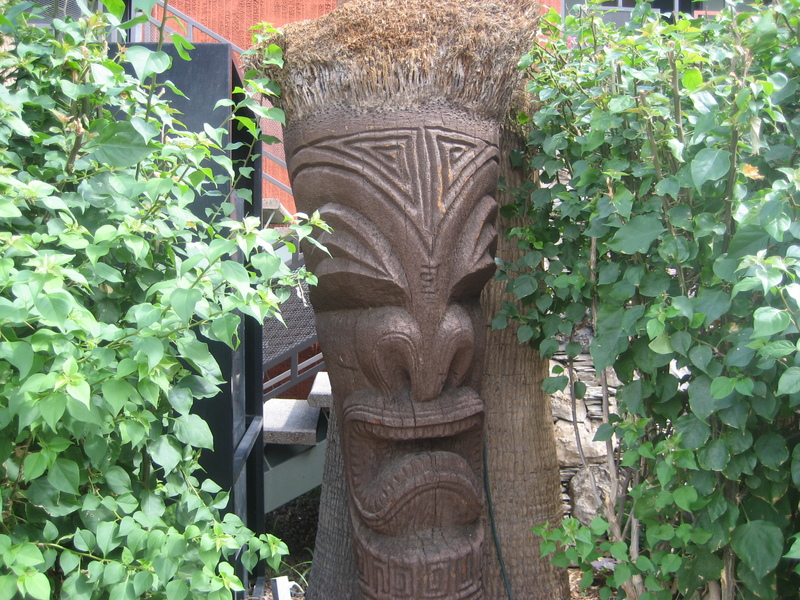 Something along the lines of Hula’s Modern Tiki would be perfect. 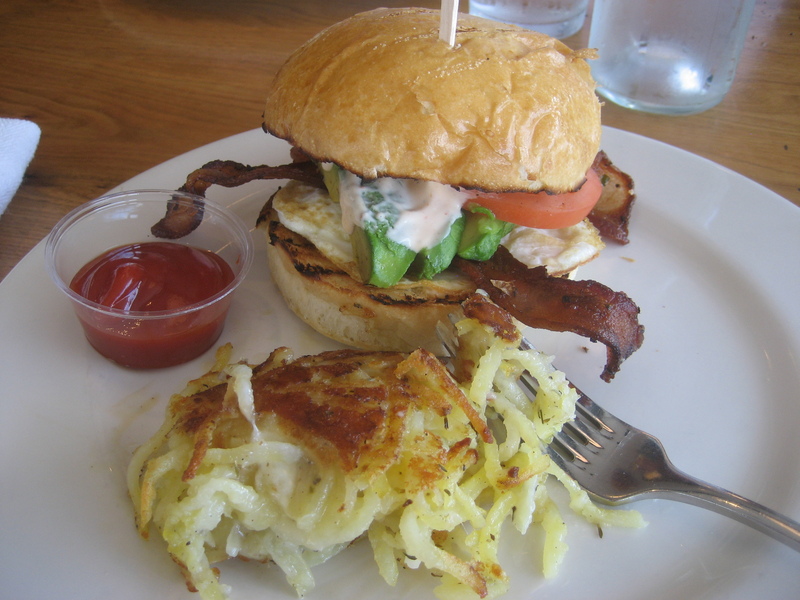 Anyway, we ended up doing what probably most guests at the Caliente Tropics do when they want a bite to eat, which is go to the coffeeshop at the uber-hipstery Ace Motel next door. 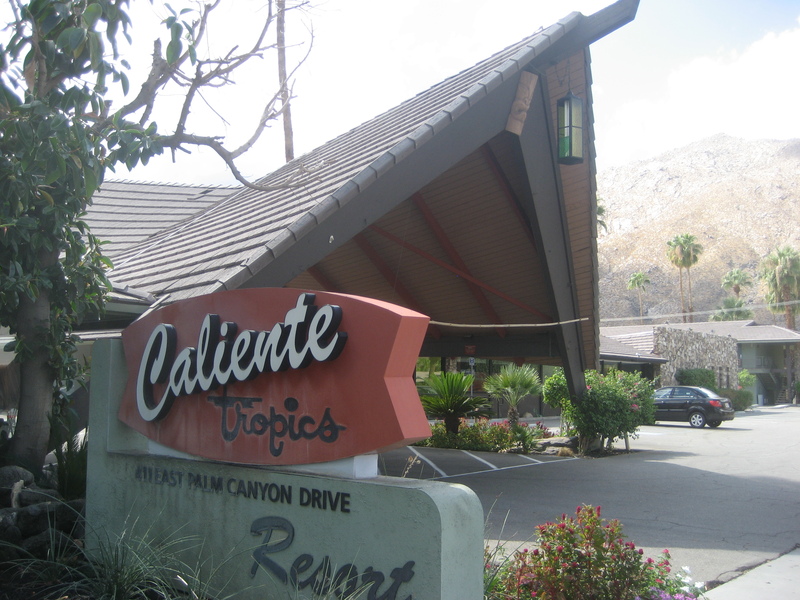 Caliente Tropics, originally called The Tropics, opened in Palm Springs in the heyday of tiki in 1964 and was part of Ken Kimes’ motel empire. 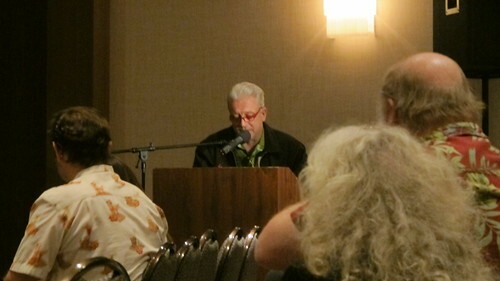 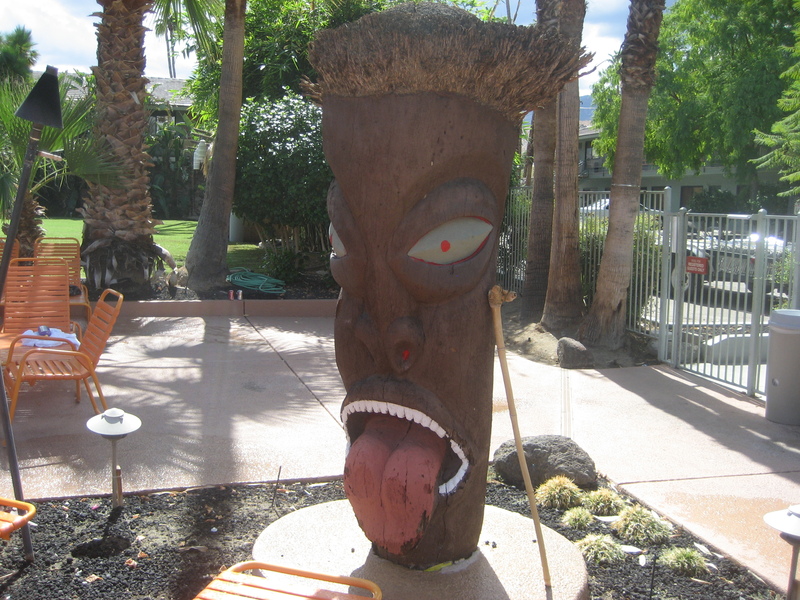 Included were five tiki-themed motels in California—Indio (Coachella-land), Blythe, Modesto and Rosemead were the other locations. 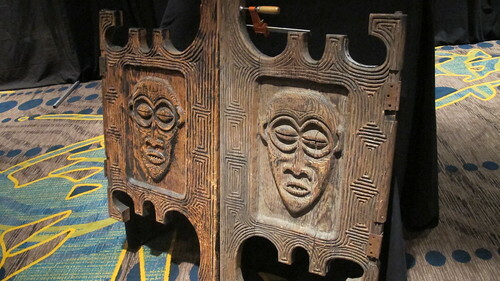 The Oceanic Arts tikis in the parking lot are definitely worth a look. 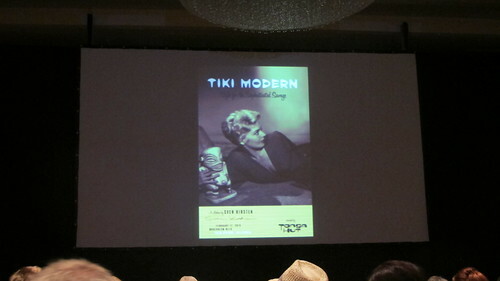 The resort has had a tumultuous history, going from being a rundown place of somewhat ill repute to hosting the inaugural Tiki Oasis event. 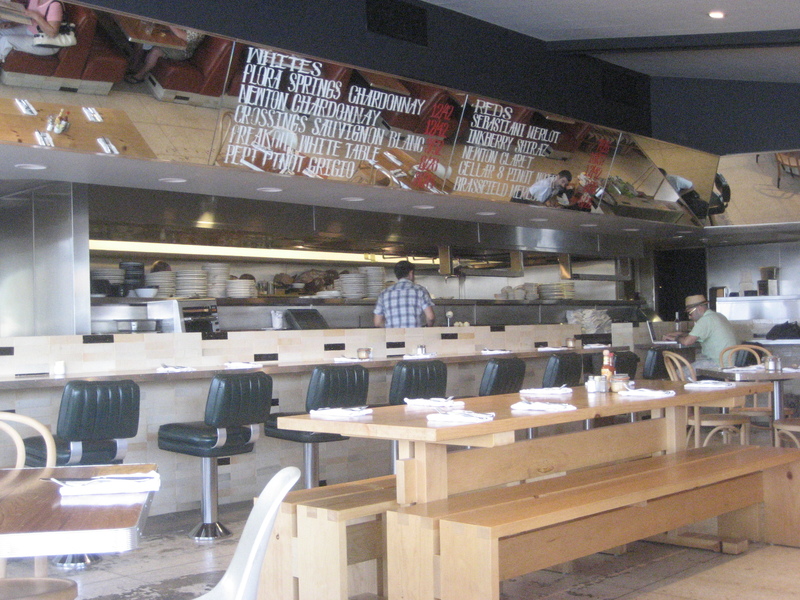 Unfortunately, changes in ownership/management have kept it in a state of flux. 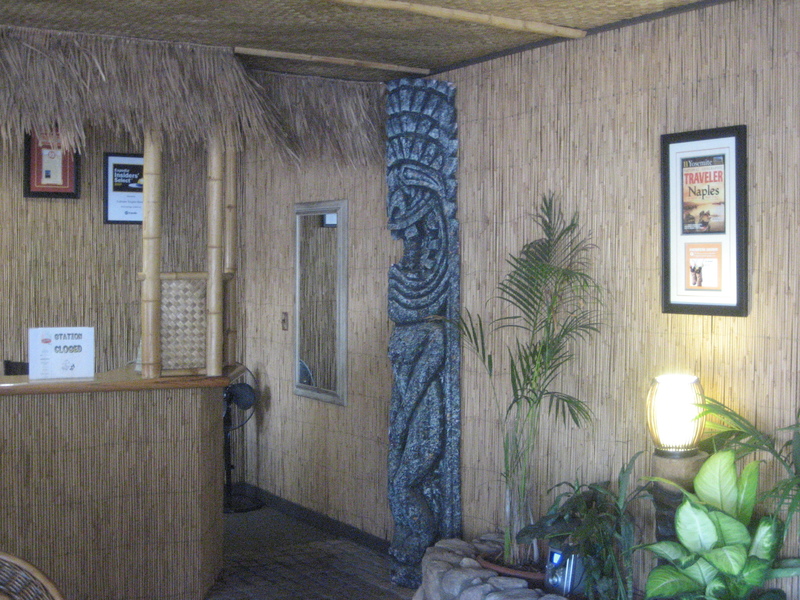 The lobby is covered with bamboo, lauhala matting and thatch, plus there’s a few tikis (like this foam Ku carved by Marcus Pizutti), chunky swag lamps and a rock waterfall fountain in the corner. 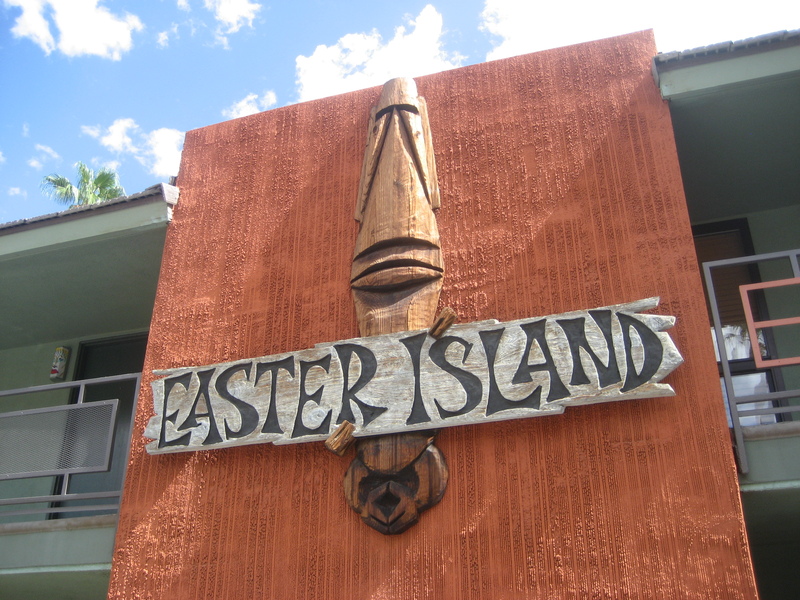 This Easter Island tiki plaque by Bosko was part of the property’s extensive renovations from about a decade ago. 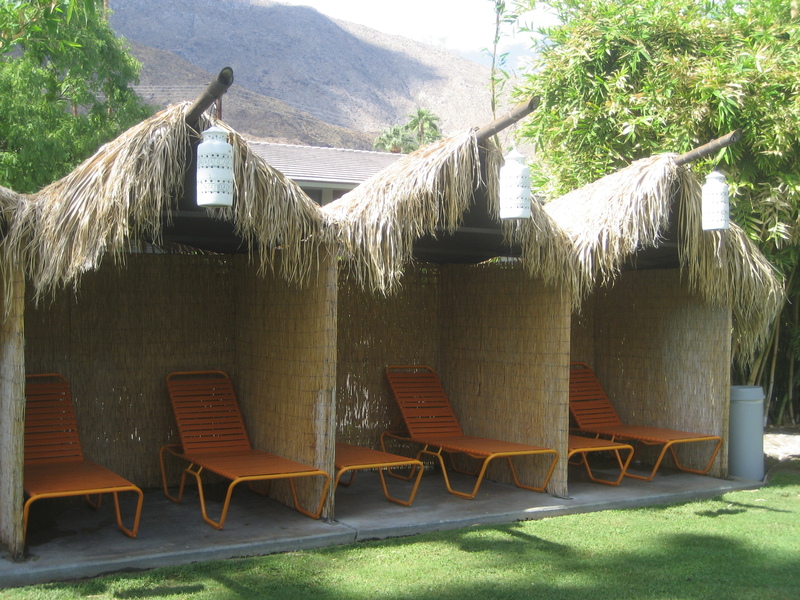 I liked these little thatched A-frame huts for two out on the lawn. 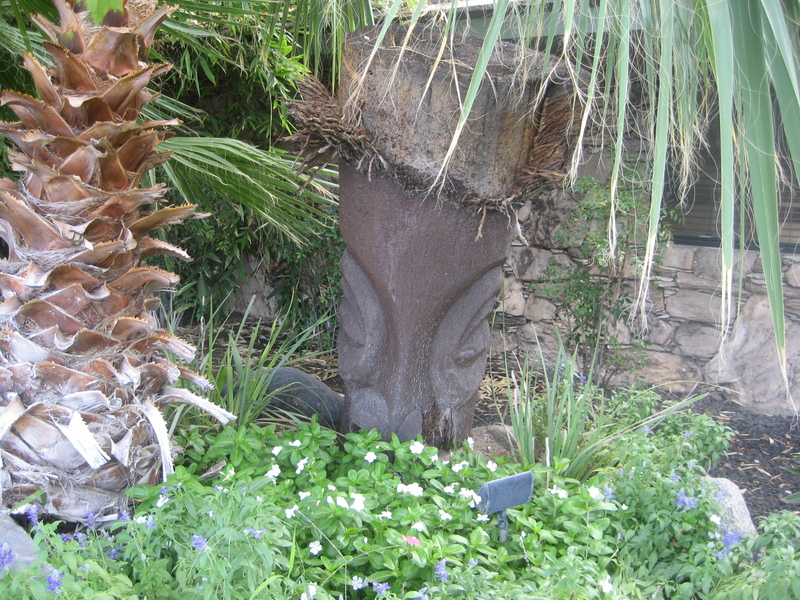 Looks like the perfect place to lounge in some very valuable shade and escape the desert sun for a bit. 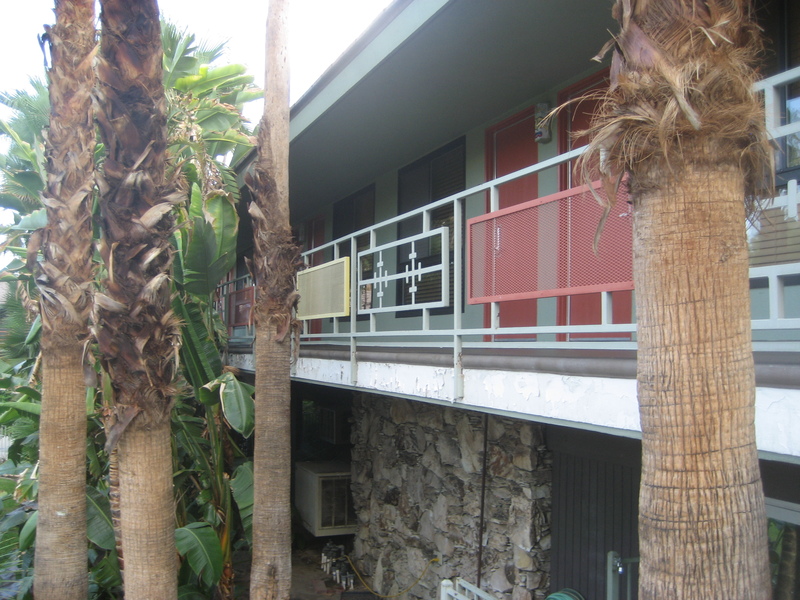 411 E. Palm Canyon Dr.